Large Pine Forest Lot! 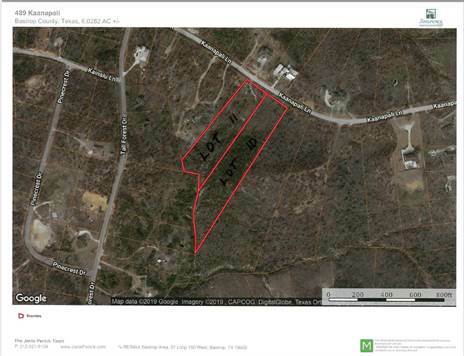 6+ acres in Pine Forest community between Bastrop and Smithville. Build your dream home and even a barn or stable. Up to 4 horses are permitted on this lot. The Texas Forest Service planted Loblolly pine seedlings and the regrowth of the pines will make you smile. This lot has a partially paved driveway which is very steep. Please park on Kaanapali and walk down to view the property. The property was affected by the 2011 fire and the septic system is present, but Seller has no knowledge of its condition. Aqua Water and Electric are available. Convenient to Hyatt Regency Lost Pines Resort & Spa, COTA and the LCRA McKinney Roughs Nature Park which also offers zip-lining, nature classes and a place to trail ride horses. The Austin Bergstrom International Airport (ABIA) is approximately 30 minutes away. The property is located between Bastrop and Buescher State Parks where swimming, hiking, fishing and biking can be enjoyed. Lake Bastrop and the Colorado River offers boating options.